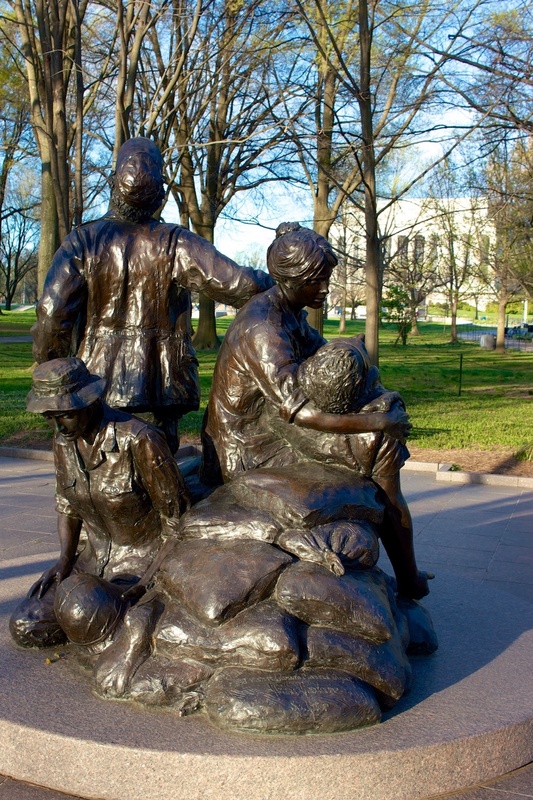 Most of the monuments and memorials in Washington are of larger-than-life luminaries or symbolic of a vast group of people. 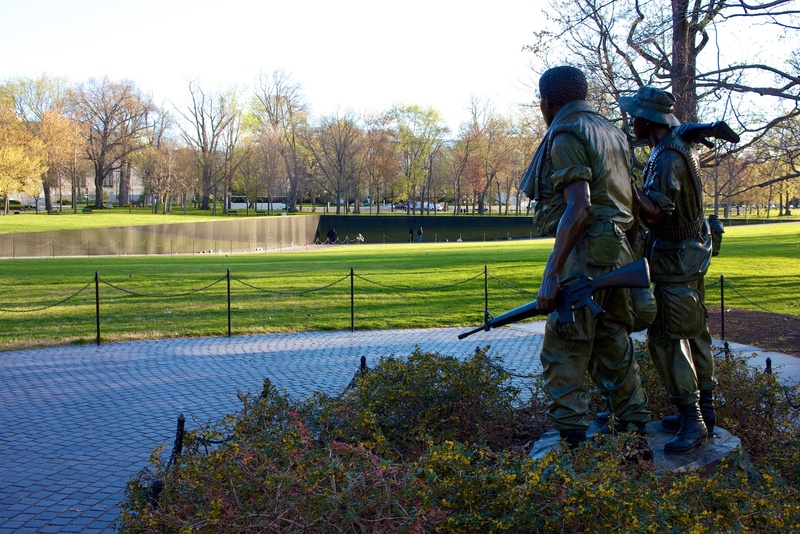 Not so at the Vietnam Veterans Memorial, which lists the name of each and every individual who made the ultimate sacrifice during the Vietnam War: over 58,000 of them. 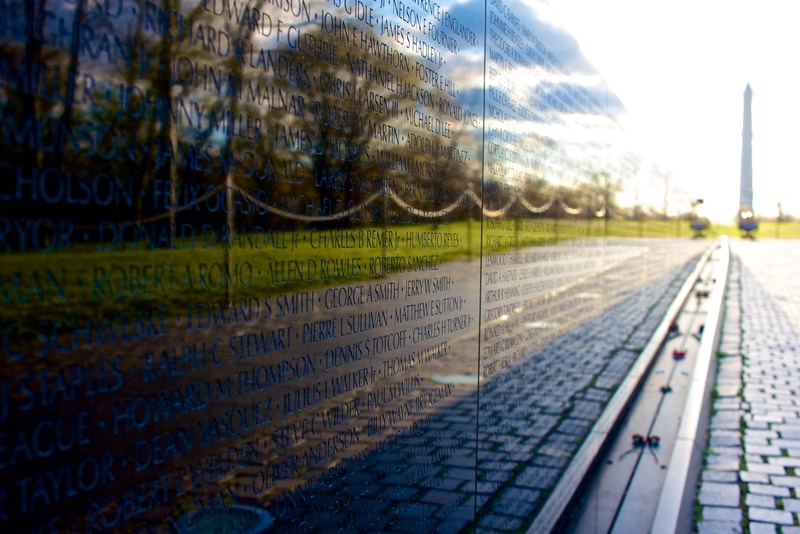 The deeply personal nature of seeing each name carved into the angular, black granite wall means that what’s often reflected in its glossy surface are subdued faces. 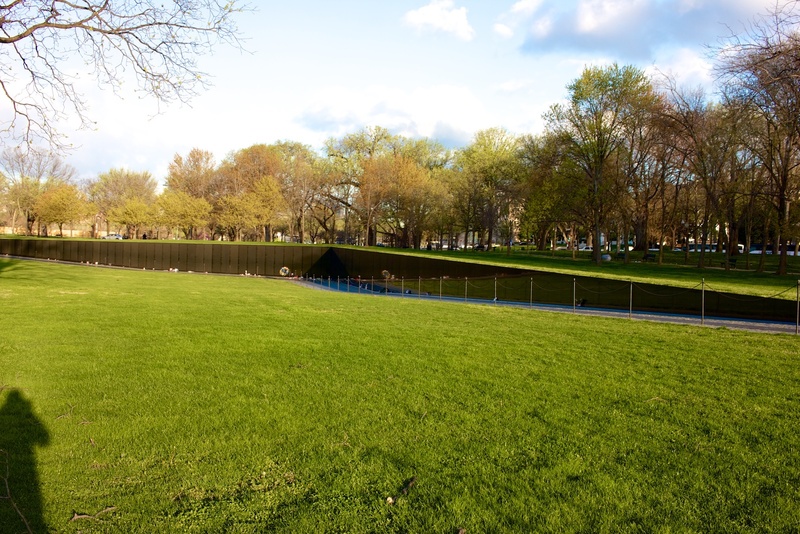 The wall itself is sunk into the ground just north of the Lincoln Memorial’s Reflecting Pool and is one of the most moving installations in the capital. 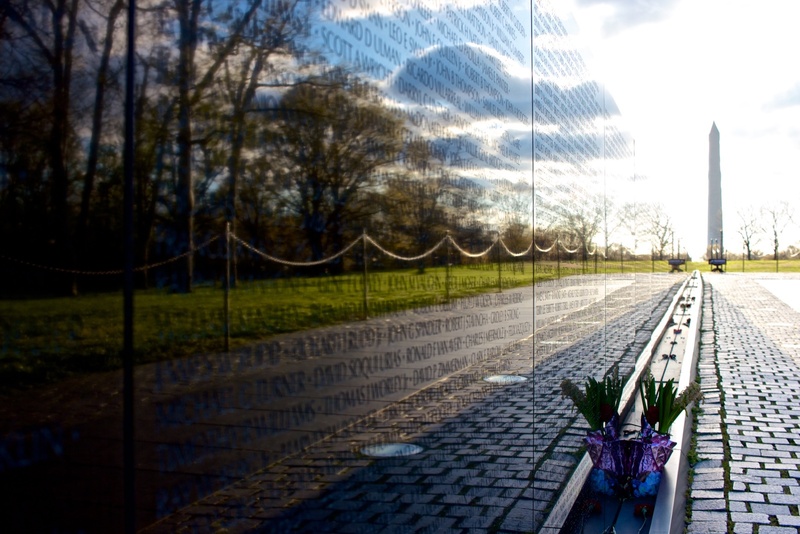 There are nearby directories for visitors looking for specific names, and pencils and paper that can be used for rubbings of the wall. 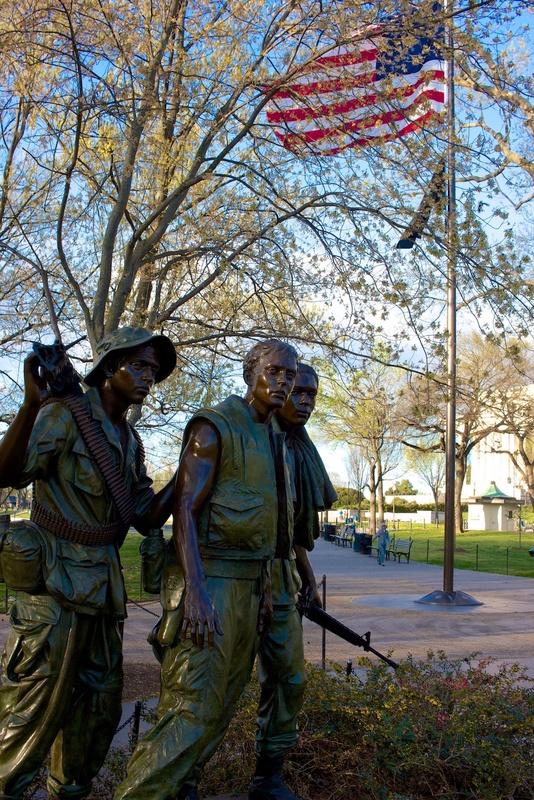 To show proper reverence to the fallen and those paying their respects, loud conversations, interviews, gum-chewing, and music are frowned upon. 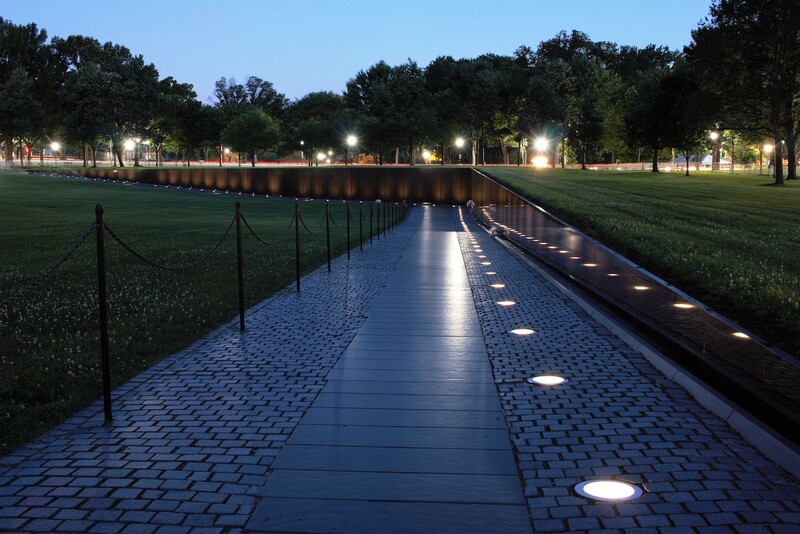 In addition, tripods are not allowed on the sidewalks near the wall and absolutely no walking on the ground at the top of the wall is permitted. 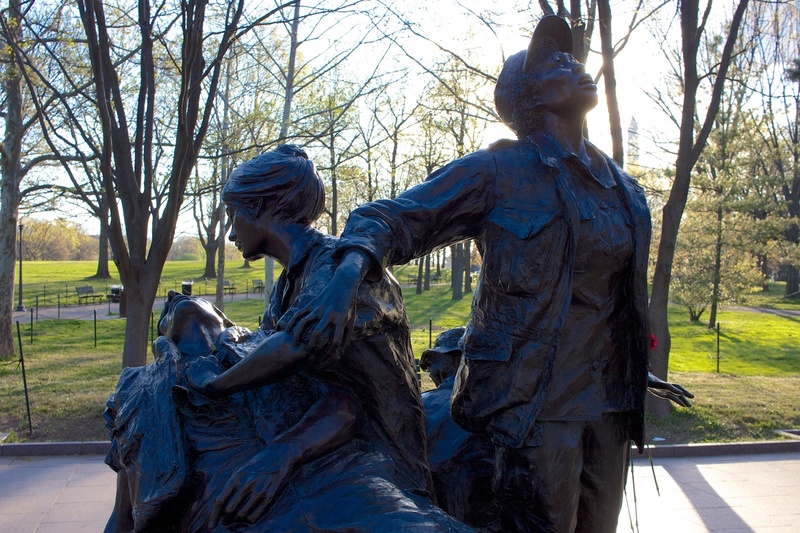 The Vietnam Veterans Memorial is not just the wall, however, but two statues that add corporeal form to the spirit of all those who served. 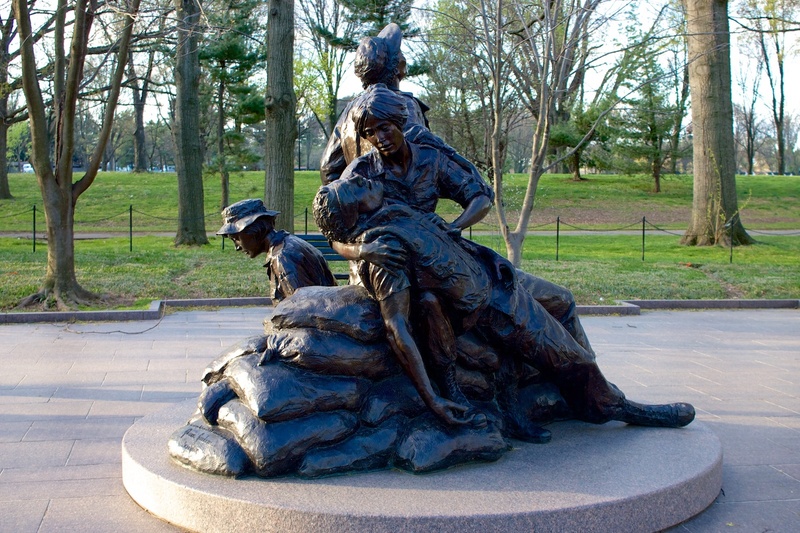 The Three Servicemen stand to the southwest of the wall staring pensively towards the names of those they fought alongside while the Women’s Memorial – directly south of the wall – depicts some of the many responsibilities of the serving women.